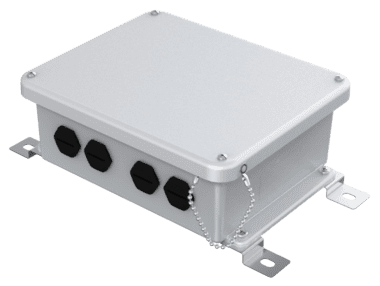 This polymeric enclosed power supply supports higher wattages than class 2 power supplies, and allow placement in weather exposed locations due to its highly durable enclosure. The power supply supports loop in/out on the branch circuit side, and up to two circuits on the output/secondary side. As a fully UL listed, wet location power supply, the LSLED can be used in a wide array of locations, including coastal/marine, in landscaped areas under direct exposure to chemicals and reclaimed water, or even for applications requiring a higher capacity DC power supply.